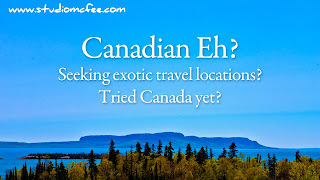 Studio McFee: Tried Canada Yet? I have a pet peeve. 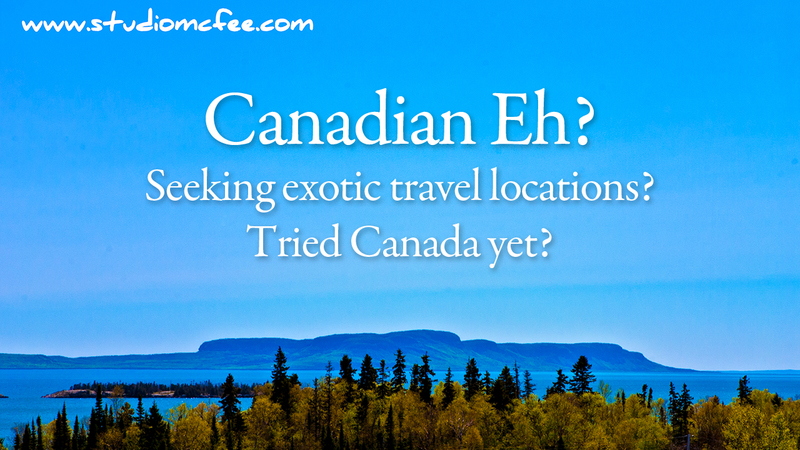 Why is it that many Canadians travel abroad but never consider their own country? I live in Ontario in the middle of Canada. I have, on two occasions, driven to the west coast of Canada via the north shore of Lake Superior, across the Canadian Prairies, through the mountains. I have dipped my toes in the Pacific Ocean at Tofino. I have also driven to the east coast (a number of times) visiting Montréal, Québec, the Gaspé Peninsula, New Brunswick, PEI, Halifax, Cape Breton Island (I've been around the Cabot Trail three times). This year, for the first but not last time, I visited Newfoundland and Labrador and was overwhelmed by the landscapes, the people, and the culture. At least every two years I visit Manitoba usually taking my favourite route north of Lake Superior. I have yet to visit the Yukon, Nunavut or the Northwest Territories but they're on my bucket list. Canada has some of the most magnificent landscapes in the world. It also has a diversity of cultures. I am thinking about the Finnish pancakes at The Hoito in Thunder Bay, Ukrainian cabbage rolls and perogies in central Manitoba … the list is pretty long. Why is it people ignore their own country to travel elsewhere? You can see some of my photos of Canada HERE. There are many more to come.